Home »» list »» Why is shipping from China free? Why is shipping from China free? Why is shipping from China free? 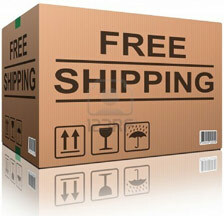 There are a lot of discussions going around online about Chinese free shipping. How can Chinese posting service be free? Are there any online stores in China that will send the goods for free and you will not have to pay any extra cash for the parcel? Why is shipping from China free? So why is shipping from China free and where is the catch in free shipping? It comes down to the fact that “free shipping” is already included in the price! This is logical. It can’t just be that goods will teleport to your place. When Chinese will invent a teleport then delivery will be really free! No doubts they would want to earn some extra cash on it too. In general, don’t be naive and don’t think that Chinese are so generous and parcels are really sent free of charge. It should be noted that seller pays very small amount of money for the delivery of small items. Simply we don’t feel the amount being paid. In addition, there are different ways to reduce the costs of delivery. For example it is cheaper to send the goods to the seller by non tracked ordinary mail if you pay 2$ for back cover of your smartphone. And it appears to be a common practice in Aliexpress. You will not be provided by tracking number in this case. However you will need to carefully monitor the counter of days and in case of not receiving the goods on time, you should open the dispute! Also it is possible to use private transport companies which carry consolidated goods to the Chinese outward city, thereby saving on lead time. It’s worth to note that the cost of consolidated goods delivery in containers is very cheap. Some big Chinese online stores owe their own warehouses in Europe, United States or Russia. A lot of people think that Chinese government subsidizes parcels to stimulate it’s economy. This statement is completely wrong. Chinese government doesn’t subsidize their post office. The thing is that the Universal Postal Union (UPU) establishes the rates for what it calls “terminal dues”. Terminal dues are the fees which a country can charge another country for delivering incoming mail. The formula used to calculate terminal dues is quite complex, but they set the lower prices for so called “transitional” countries and actual costs are compensated by “developed” countries. Therefore it is more expensive to send goods from US to China than vise versa. China will likely be transitioned in 2016 into a category for more developed nations, who generally pay higher terminal dues and therefore the price of online Chinese goods can jump. Anyway currently worldwide customers can enjoy Chinese free shipping (in other words very cheap shipping) and that is why shipping from China is free. Actually, he is right about Chinese Govt. not paying.. it is true..
hard to believe but it is true, the US Govt pays and subsidizes. worst negotiations.. maybe people will listen. doubt it. I would like to confirm about shipping from China to Calgary(Canada). Hi my name is Lucky from South Africa.I’m trying to buy handwrist watches from China,but my problem is the amount that they charge for shipping.if I make a bigger oreder the price for shipping it gets,even more expensive,expensive than the price of watches.my question is how is that possible and can you help me to find a supplier who will help me pay less for shipping.please your help will be much appreciated.send a reply to my email adress. Show the right information to the world please. The companies don’t pay for shipping from China because China Post is free. China Post is a state-owned enterprise. Show the world why China Post is a state-owned enterprise. Teach the world what is democracy.